Like the slasher sub-genre of the late 70s and early 1980s, the found footage style was a formula that required little expenditure for vast returns. 1999’s The Blair Witch brought the fledgling sub-genre to the attention of the mainstream, and importantly, to film producers. The device of creating a fake documentary to tell a story was not new; The War Of The Worlds famously used the narration style in 1938, creating scenes of mass panic, and the BBC did the same with the much celebrated Ghost Watch in 1992, resulting in an almost equal outcry of disgust (certainly the aftermath from its screening caused such a furore that the BBC distanced themselves from it for well over a decade). These examples showed the kind of shock value a fake documentary or news reel could elicit, however it was The Blair Witch Project that proved just how lucrative the sub-genre could be; a huge return of money could be made from such meagre budgets. But even that wasn’t enough to kick start the premier horror craze of the noughties: a trend that even suckered in established horror franchises such as Hellraiser and Halloween. It was only when Paranormal Activity burst onto screens in 2007 with people citing it as the scariest movie ever, and it becoming one of the most profitable genre movies ever made, that the flood gates truly opened. Of course by this time the audience were too shrewd to mistake for the films for reality, however there was more than this one trick: the dissolving of the fourth wall and putting the audience right in the heart of the action suited horror to a tee. No longer were you watching someone creep round a darkened corridor with a threat of supernatural violence, you were the one taking that nerve-wracking walk! I’m a fan of the Found Footage sub-genre, and to me it was almost a shame that this narrative style reached its high water mark so early on with Cloverfield (2008), however that didn’t mean there wasn’t room for invention and other great films to be told in the same way. The Last Exorcism (2010) and REC (2007) are two good examples; not without their flaws, but wholly enjoyable. 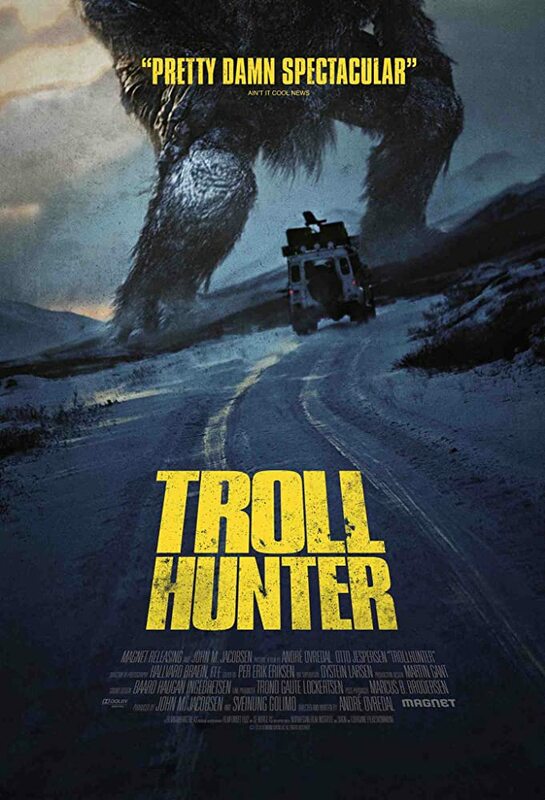 And of course there’s Trollhunter (2010). This movie actually sits as my current second favourite found footage film created (only trumped by Cloverfield), and although I could spend a lot of time talking the development of the sub-genre, let’s skip the history lesson for now and talk about why I love this movie so much. The opening is almost standard fare: fade in to some text explaining the footage was found and not altered in anyway. However what is immediately pleasing about this is that they explain that this presentation is edited together from a larger selection of footage, something often overlooked by similar films. The text immediately gives the film a reason as to why they change shots or only show a part of something a scene with no lengthy shots of irrelevance or abandoned takes that you’d expect in someone’s raw footage. In most other films of the ilk we are left to believe that the changing of scenes is accidental and the whole reel film is created from the operator pressing record or stop at dramatically useful moments. It always seems a little too convenient. So within the first few moments, Troll Hunter has already by-passed a huge bugbear of mine. 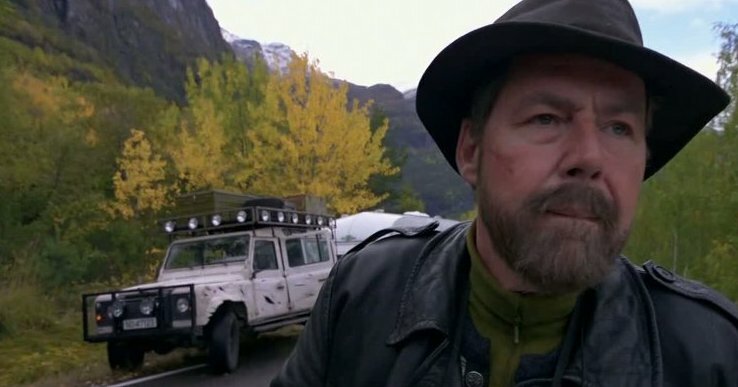 As for the film itself: The set-up, is that of three college students from film school producing a documentary about a mysterious man always seen around the shooting of bears in Norway. Who is this man? Is he a poacher? And what is with his strange behaviour? The crew set out on their quest, follow him, and develop a strange relationship with the man. This all leads the writers into circumventing another usual flaw in found footage movies: motivation. The students want to make a film. 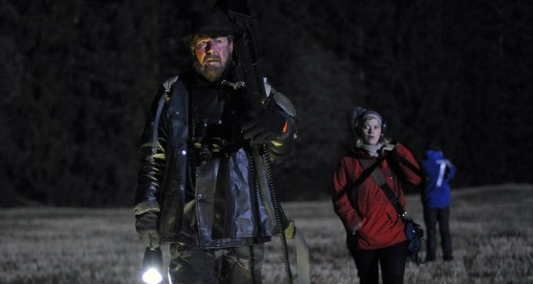 At the beginning they become disheartened and question why they are following the poacher around the countryside, when one member says to another ‘Did Michael Moore give up on his first time?’ This desire to chase their dreams, to find success in their chosen field, gives them the hunger and desire to keep going. To keep filming. And by the time they find the Trolls, the desire to document and showcase these unseen creatures keeps their fingers on the record button. Even losing a member of the team doesn’t deter them, in fact it drives them forward, determined not to have let him died for nothing. The hunter himself give his motivation when he admits that his job is hard work: he works long hours with no job rights. If he shows them what he knows and it gets on TV, perhaps his situation will change for the better. And it’s the hunter’s job to walk into danger and stop it, so if he’s walking into threat to do his job, that’s exactly what film crew are doing to do. They are going to film. To capture the monsters and the lengths their subject most go to in order to keep Norway safe. So the film covers off the two things that usually throw me out a found footage movie, cleverly keeping away from those two cardinal sins. So far nicely done. But what of the story? What of the Trolls? This is brilliantly played out. The build up to the first reveal is well paced, with a rustle in the tree line leading to the encounter of three headed giant stomping through a darkened forest. The special effects work well with the monsters reminiscent of the stop-motion work of Ray Harryhausen. Each Troll encounter after gets better and better, with explanations of Troll lifestyle and habits along the way, until we finally meet with the enormous giant on the film poster. My favourite of these has to be the Troll under the bridge that is enticed out with a goat. As well as this obvious homage to Billy Goats Gruff there are many discussions and nods to more obscure Norwegian folk tales (Trolls in an eating contest, them eating rocks, smelling the blood of a Christian man). Some turn out to be true and some not, but it’s a fun ride, as the Troll Hunter becomes our guide through this strange and hidden world. The film also doesn’t take itself too seriously, with a moments of humour spattered throughout the film. Moments such as the Trolls burping and farting in their cave, or one of the film crew turning to the camera, covered in Troll guts and explaining ‘We now know Trolls explode’. The best humour, though, comes from the Troll Hunter himself as he is forced to do ridiculous acts with such a weary, down-trodden, matter-of-factness about him. The highlight is when he turns to the camera, struggling to move in a ridiculous looking suit of armour with the deadpan comment ‘I hate this crap’. The film even ends on a joke, although one that I had to do a bit of research to fully appreciate. Just before the credits roll, footage of the Norwegian Prime Minister plays allegedly confirming the existence of Trolls. The footage was in fact real (although slightly doctored) footage of the Prime Minister discussing the issue of some Gas Fields that were called Troll 1, 2 and 3. This liberal inventive use of ‘borrowed’ elements are found throughout the film. Felled trees, dented barns, scratched bark and piles of rocks are all filmed and inventively used to aid the Troll mythos. Hell, even electricity pylons are filmed and used to this end. In summary, the film has a tightly written plot, good use of its surroundings (the Norwegian landscape is beautiful), believable characters and a good enough budget to produce some decent effects. But above all I love this movie because it is a light hearted, damn-fun monster movie. And sometimes that’s all you need. 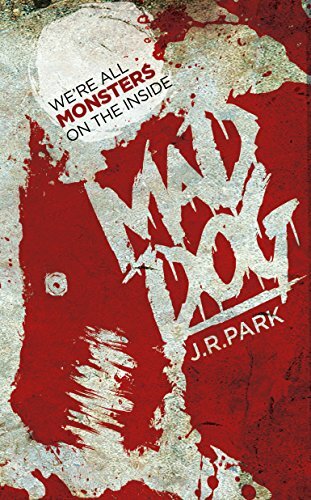 J. R. Park is a writer of Horror Fiction based in Bristol, UK, and co-founder of the publishing imprint the Sinister Horror Company. His novels have all been well received by readers and reviewers, even if the sick bucket hasn’t been too far away from their bedsides. 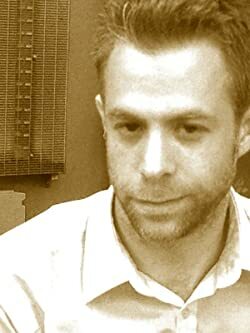 Art house, pulp and exploitation alike inform his inspirations, as well as misheard conversations, partially remembered childhood terrors and cheese before sleep. This entry was posted on November 29, 2017 by Thomas S Flowers. It was filed under Horror, Movies, Reviews and was tagged with Creature Feature, Creature Features in Review, cult film, film, guest contributor, Horror, J.R. Park, monster movies, movie reviews, Movies, Reviews. A neat and fun concept. Nice review.